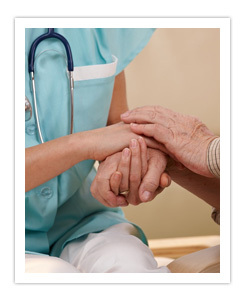 Our center is staffed by attentive and caring professionals. We offer engaging activity programs and nutritional meals in a comforting homelike environment. Our primary focus is helping our clients achieve a marked improvement in their overall quality of life, well-being and daily functioning while providing respite and peace of mind for their caregivers. We know the resources and services available to our seniors to best serve their needs and to help them maintain the highest possible level of independence. Our program is designed to give the Caregivers the freedom to work, or take a much-needed break knowing their loved one is in a safe, friendly, motivating and enjoyable environment. MSENE, adult day care center promotes our clients' ability to remain independent by providing assistance. They will receive a unique program with services and activities custom-tailored to their needs and interests. By engaging in these activities, our clients receive cognitive and physical stimulation that helps to enhance well-being while delaying or preventing deterioration that would require placement in an assisted living facility or nursing home. In addition, we work with clients to improve daily functioning by developing strength, and cognitive abilities. We ensure that our clients receive proper nutrition each day in the absence of their family caregivers. This is an important factor in fulfilling our commitment to helping them maintain the best possible quality of life . When your loved one comes to our active day center, you can be assured that their nutrition is top priority. We provide appetizing, wholesome meals and snacks that are approved by a registered dietitian and include provisions for diabetics, vegetarians, sodium-restricted or low-cholesterol diets and other special dietary needs. MSENE provides door-to-door transportation for our clients within a convenient radius of the center. We offer flexible pick-up and drop-off times, working closely with clients and their caregivers to determine the best schedule.